← Income inequality: What does the wage gap at elite institutions tells us? This is it. 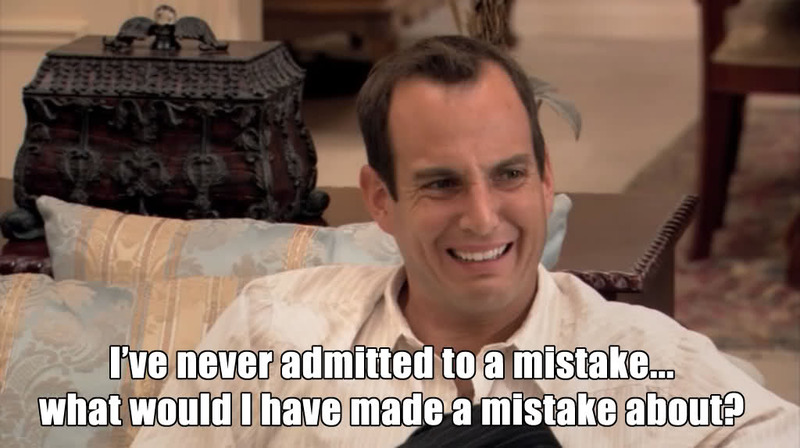 I’m saying it out loud (well, writing it anonymously) for the first time… I’ve made a huge mistake. I am not on the right career path. And I don’t know how to move forward from here. With each year that’s passed since graduate school, and each postdoc position it’s become more and more clear that a PI in academia, at least at a research-intensive university, is not the right job for me. Here are a few reasons. 1) I don’t have the passion. I see other people who get so excited about new prospective techniques or experiments, or new lines of research and ideas for grants, and all I think is, “I wish I cared that much.” I just don’t care. Like, at all. I’ve always been pretty interested and even excited about my own projects and moving them forward, but it’s really hard for me to care about anything outside of my immediate field. And I also think about those people who are so passionate, “I hope they get the faculty positions they want… they definitely deserve it more than me.” It makes me really sad to hear about people who are so excited about the research but just don’t think it’s feasible for them to get to the place of running their own lab. 1b) I have other passions. I’ve become a lot more excited about side projects I’ve been working on – science related, but outside the lab. I hear myself talk about these other projects with enthusiasm and ease that is completely lacking when I talk about my research, present or future. 2) I don’t have the vision. I’m not exactly a “can’t see the forest for the trees” person, but I am learning that I don’t have a good sense of the big picture, or where the field (read: funding) is going and how to insert myself there. I’ve never cared about the latest tools or hot topics. I just want to do what I want and keep moving that forward. But that’s not the way to keep a lab funded for 30 years. 2b) I am really good at seeing other things. I am a great problem solver, and good at seeing holes and what needs to happen to fill them. Somehow this doesn’t translate to a big-picture scientific vision. 3) I don’t like the environment. Over time, I’ve been exposed more to the side of research I really detest – the cutthroat, competitive, nepotistic, money squandering, high-impact-chasing side of science. Or rather, scientists. I’m pretty sure I could play the game my way and maybe even change some things for the better, but I don’t even want to be a part of a world like that. I do know that there are many reasons I’d be a great PI, but these three above are really telling me that this is not right for me. So, now what? I am well into my second postdoc, and starting to write a grant for a transition to independence… How do I get off this track? Do I look for a new job right now? Or just keep doing my postdoc for the foreseeable future but not take on any of the academic career-building moves I had planned? There are brief times when I think I can do this, and that’s part of what keeps pushing me forward, so I’m hesitant to give up when I have this momentum – I definitely wouldn’t want to regret jumping off the track because I know I wouldn’t be able to get back on. It’s difficult to bring up with my mentors, especially with my current advisor. Like a previous poster described, I feel like I am letting them down or not living up to their expectations. Mostly, I feel like I appear flaky or indecisive, or worse, deceptive, and that’s not something I want to show to my bosses! I’m more inclined to wait until I have a plan and then present it and defend it if necessary… but on the other hand isn’t a mentor supposed to help you work through issues like this? For those of you who left your original career path, did you wait until you had a clear path or job lined up, or did you jump ship as soon as you knew you weren’t on the right path? This entry was posted in academia, alternative career, broken dreams, Leaving Academia, postdoc, uncertainty. Bookmark the permalink. I’ve had very similar thoughts – I was planning on leaving academia after my postdoc ended. I didn’t feel the hot rush of raging breakthrough science ideas, I was bogged down by the hypercompetitive culture, I was not happy with the idea of begging for money… I wanted out. But for the longest time I didn’t know where to go. I just wanted to belong. I wanted to use my science background, but still be able to maintain my skills as a presenter, as a networker, etc. without the edge of chasing after the money. For me, my ideal job did not materialize until I got it. Interestingly, what I do matters to me just as much as who I do it with. So, for me, it has been a lot about finding a place where the environment is friendly, respectful, considerate, not cutthroat and competitive. Furthermore, I am familiar with feelings of “letting my advisors down,” however, you have to remember, you don’t owe them anything. Sure, they’ve put time and effort into training you, but it is up to you to find a fulfilling career, and it is ok to be thankful for their energy they’ve invested in to you, but with this or any other kind of training, there are no strings attached. I am sure they would rather find you happy and successful in a position that is the right fit for you, than find you in a position of their choosing for you just to fulfill the PI quota on their NIH application. You have to love it. That’s the only way I can see around the problem of increasing competition, reductions in science funding, constant, constant rejection and frequent self-doubt. As a recent post-doc and new PI, I know the feeling. I think the one good thing you have going for you right now is some idea of what sort of side-projects keep you excited about science. Work in science does not have to be pure research, or traditional academic roles. There are important roles to play in science such as bridging research initiatives, coordinating efforts, outreach, communication, non-traditional education, etc. As a post-doc you probably have those skills, and perhaps it is time to start looking at new employment opportunities. A cozy funded post-doc is a safe place to be for now, but I would start applying for new positions that look interesting right now. I don’t think it’s ever too early to start looking for your next step, but it’s always hard to make that first move. Life is too short to spend your talents where it could be channeled more enthusiastically elsewhere. Good luck!! Not saying that my advice is great. I’m in my first postdoc and am thinking seriously about many of the same things you mentioned in this post. It sounds like you’ve thought this through a lot, and you’ve come to the conclusion that a PI at a R1 uni or institute is the right fit for you. If this is your conclusion, congratulations! Making a choice is a big deal! What I would do next is figure out what careers you are interested in pursuing. Start making contacts with people in those industries. Learn where your resume/CV falls short and work to patch those areas. Hopefully your current place has good support/training programs for PDs and you can leverage those resources. As for mentors, yes, your mentor should help you in this transition. If your current mentor/boss is unable or unwilling to help, and even if he/she is, there’s nothing stopping you from identifying a second, third, or fourth mentor that would do a better job in helping prepare you. Don’t allow the expectation (PI as mentor) limit you. Good luck!! Thanks NewPD! That’s good advice to identify other/better mentors to help with a new path. Personally, after I’d committed to my decision, I started looking for options pretty soon but approached it a little slowly. That gave me a better of sense of what was out there and what I really wanted to pursue. It also gave me a chance to get more involved with activities that I thought would be beneficial. Plus it can take some time to land a job, no matter which route you’re going. The caveat is, don’t get too comfortable, because you might need to move quickly once you have found that job that feels right. Thanks for your perspective, biochembelle! To tell the truth, I don’t feel like I’ve actually made any mistakes. It’s all good experience, and good to know what you don’t like so you can be certain of the choices you make. But I do want to avoid making mistakes, and if I stay on this path much longer I think it might turn into one. Your starting point on your ‘changing course’ series sounds just like how I feel. And when I tried the IDP, PI at an R1 ranked dead last for me, haha! I know exactly what you mean. I liked the work I was doing, I was good at the bench. But I dreaded decades of grant-grubbing in an environment that I could clearly see was only going to get worse. But most importantly, that basic stuff just wasn’t for me. I love to read it from others, but I just belong at the applied end of the work. As you describe, I always found myself more interested in what my friends joke is the “negative space”. I can see what’s missing in a situation and get the right tool to the right job. I was lucky to realize this during grad school and I did move to industry. It was the right thing for me. You are right to recognize what animates you. Go with that. There will be some path. And you might be surprised. Your PI might be relieved that you don’t want to go that route, because the ones that are paying attention have to know to the reality of the funding and career paths today. I have no experience with being a post-doc from which to offer advice, but with regards to your advisors: I’m sure there are things they’ve taught you that you value and can use in whatever direction you decide to go, so just make sure they know that you’ve valued their mentorship and keep in touch with them about how you’re using what you’ve learned from them. I’m sure they want you to be happy. As a professor myself, I can tell you that your PI, if he/she is paying attention, already knows what does or doesn’t make you tick and will not be surprised by your choice; they will probably even be relieved that you saw the writing on the wall. While a different career stage, I’m having similar thoughts. I don’t want to work in research anymore, and I’m trying to figure out how I can help people appreciate and understand science while getting paid. I agree with xykademiqz, your advisor probably sees the writing on the wall. My advisor was disappointingly (to my ego) unsurprised by my career track change.